makes my chores in here a bit nicer. This dude is not going to get pinched on St. Patrick’s Day. (and the old boy deserves it). 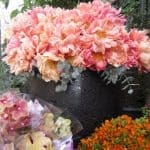 How do you say/spell these soft, lacy flowers? (they were at the 50% off sale) make me happy. and stay alive. Tip: go outside and clip some greenery to bring inside. 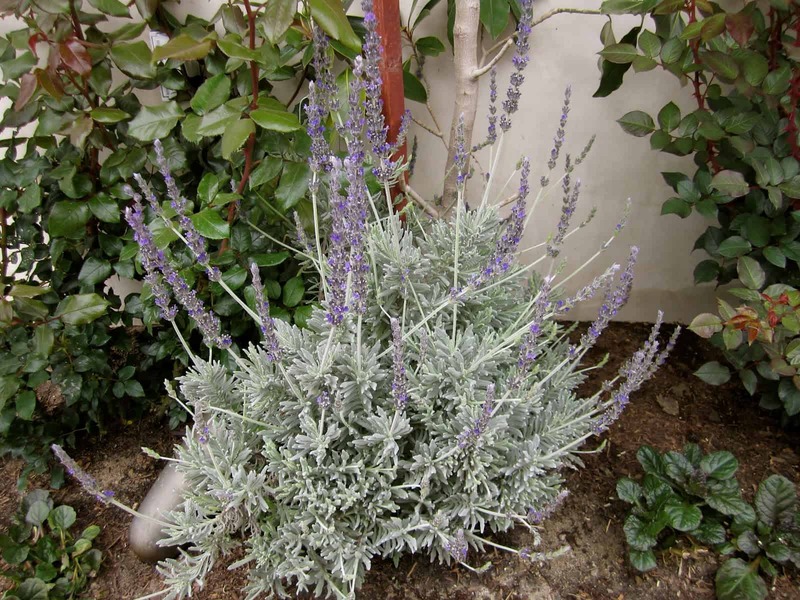 Speaking of outside…our lavender plants are blooming again. Mitchell Gold + Bob Williams and paisley fabric on our living room sofa. But since these fabrics have wool in them (read: Wintery)…they will be rotating out soon. 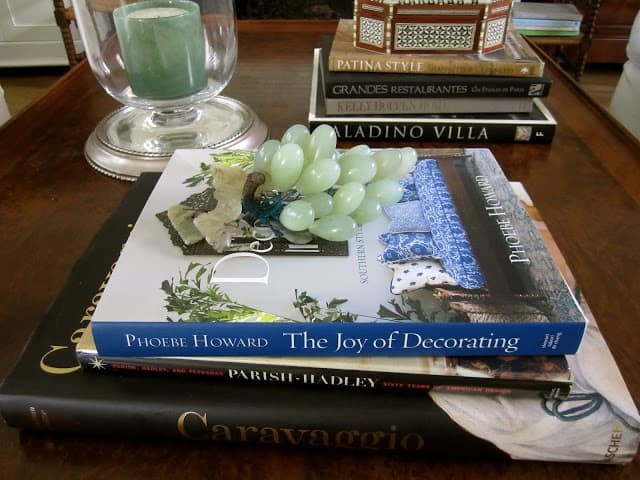 My autographed copy of “The Joy of Decorating” by Phoebe Howard. Anything you are loving around your house right now? You house is beautiful…..great taste and styling. I love your old man in his St Patrick's day outfit. 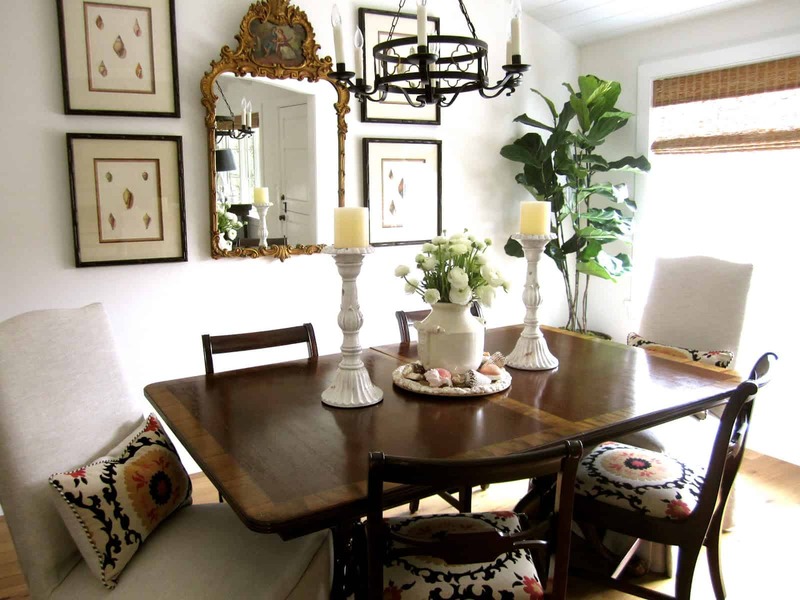 Your home is beautiful and your doggie handsome and stylish! Loving my antique gates and olive jar that just came this week and I'm over the top to get outside to work! I always look forward to your blog…we used to have a bunch of jade grapes…my kids loved to play with them. I need to look for them, nice touch on your coffee table. Thank! Oh, I think your home is sooo pretty. Such classic design and taste. Everything looks so pretty! That dog is precious! Fun things my dear! That rug is so cheery and I'm sure makes you really want to keep the house clean! Love the pillos and most of all that doggie of yours!! I want one!! I grew up with chihuahuas (you know being Puerto Rican and all)!! Love them! and love him! Please give him a hug and kiss for me! He really looks like he has a great personality! XOXO Happy St. Patty's Day! What a fun post. Love your cute pup and that rug is a great pick me up. I love all these around your house too. Have a great weekend! I love your new rug. That Homegoods! Sometimes you find the best things and you cant beat the price. Your dinning room wall is wonderful. You did such a great job with your wall decor. Have a wonderful weekend. It is raining cats and dogs here in venture county. Charming post! I am loving all the citrus trees blooming around us and the small bouquets of their blossoms that I've brought inside. Looks like spring has sprung at your house. So cozy and comfy too, love all you do, very inviting. What a sweet post. Love your pooch all dressed for St. Patty's Day! Pretty green plant too! Your house (and pup!) looks ready for Spring. You scored with those pillows. 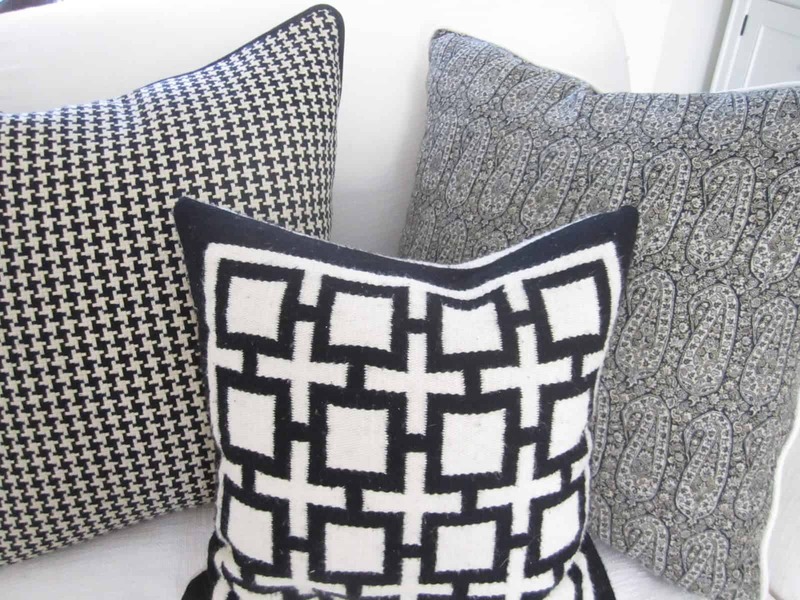 I love adding new pillows during different times of the year. my pooch has the same ralph T.
You have such a lovely home and a stylin' doggie! 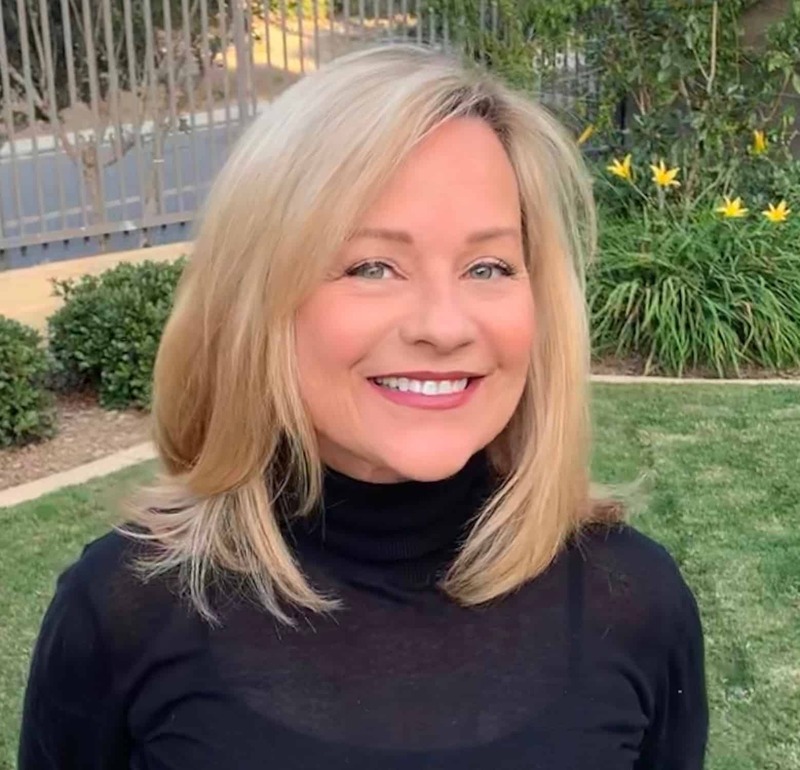 I'm loving the anticipation of spring even though it's raining here in Irvine today! 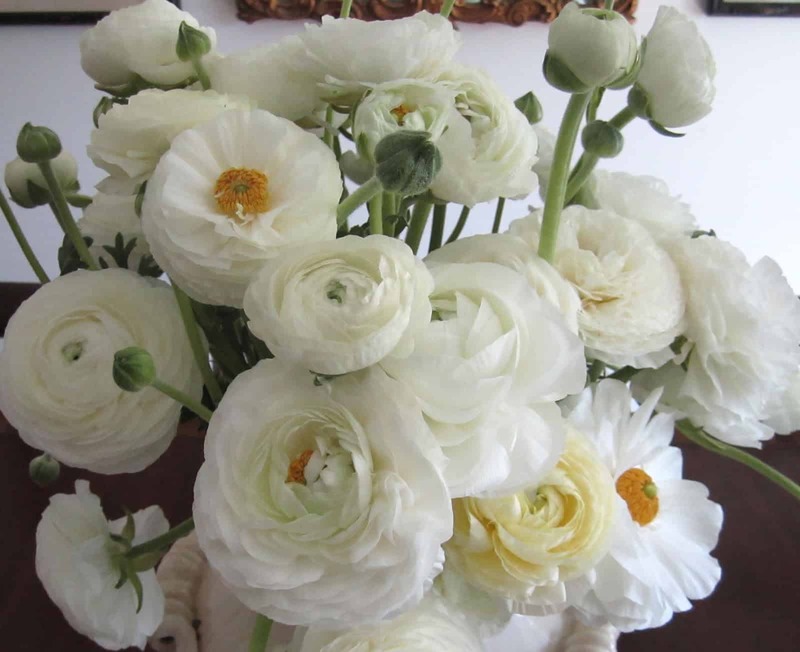 I think ranunculus (according to Sunset garden book) are second only to peonies for me as far as flowers. As far as 'things' I'm loving in my home, I found a little cloche at Williams Sonoma and I've got a nest and quail eggs under it in the kitchen, it makes me smile. Of all the beautiful things you shared, the handsome dog takes the cake! He's quite dapper. Favorite things around my house right now? I don't have anything new to speak of, but I'm loving the Celtic music I have playing on Pandora, and of course my pooch. She's outside enjoying the mid-70s temps while my husband mows the lawn. Happy St. Patty's Day! Your house is always looking so great. I really like your reading area. So pretty! 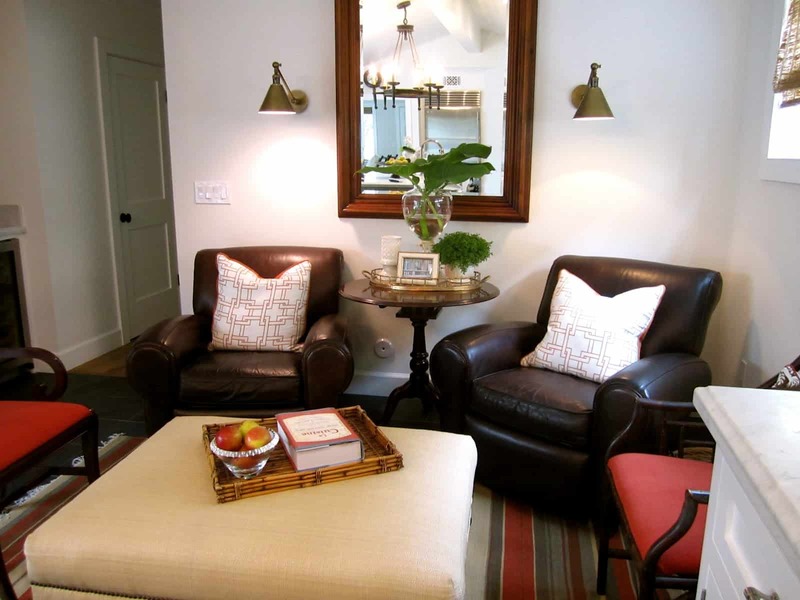 Your home always looks beautiful… can you tell me where you got the rattan/bamboo tray on your ottoman? I've been looking for one like that! 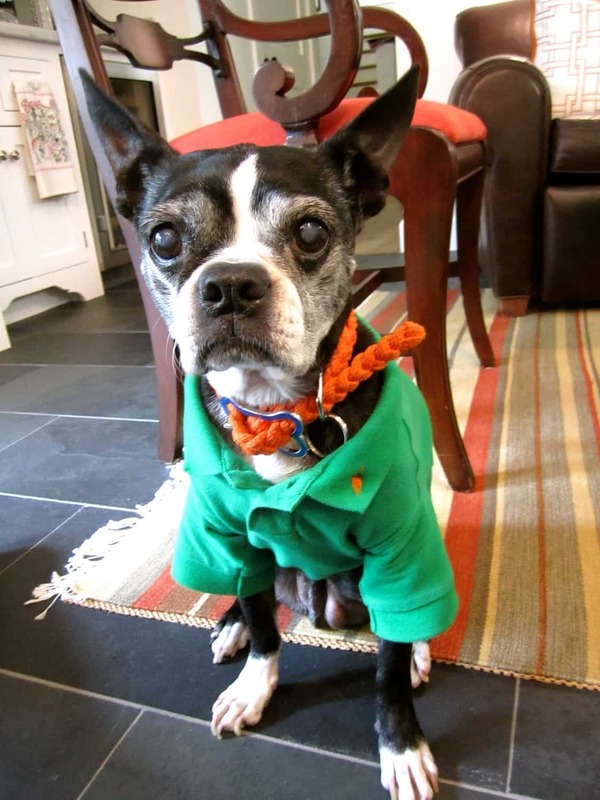 Your sweet dog looks so cute in his polo shirt! Your house is so pretty! I've been on a bicycle trip all week and away from a computer, and I am catching up while resting my muscles. We have two more weeks of cycling to go, but I'll have internet. This post was great. I pinned several photos. Please let me know where you got your kitchen rug. I have an area in our kitchen that I planned to turn into a sitting area when we were remodeling. But when the kitchen table was carried in, the movers put it there, and it has stayed. I miss my kitchen lounge area that we had in our last house. I love so many more things about your beautiful home. Everything is beautiful. I wouldn't mind doing laundry in such a nice area. Great rug. The "OLD MAN" would have been right at home in Savannah today. BIG celebration here! P.S. We scored a coffee table at the MG + BW sale, since it was a floor sample we got it also for 50% off. I loving that right now, especially because they still carry it but now it's full price. I am loving all of your pillows! I can never have too many. Now, if I had places to store them! 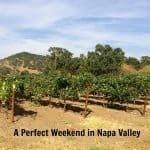 Enjoy the rest of your weekend. 85 here in HOTlanta….oy, I'm sooooo not ready for the heeeeat! Miss my southern Cali days! 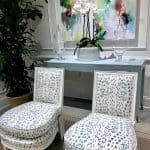 I'm spying that gorgeous fabric on your dining room chairs! Our collie refuses to do dress up! What can I do? 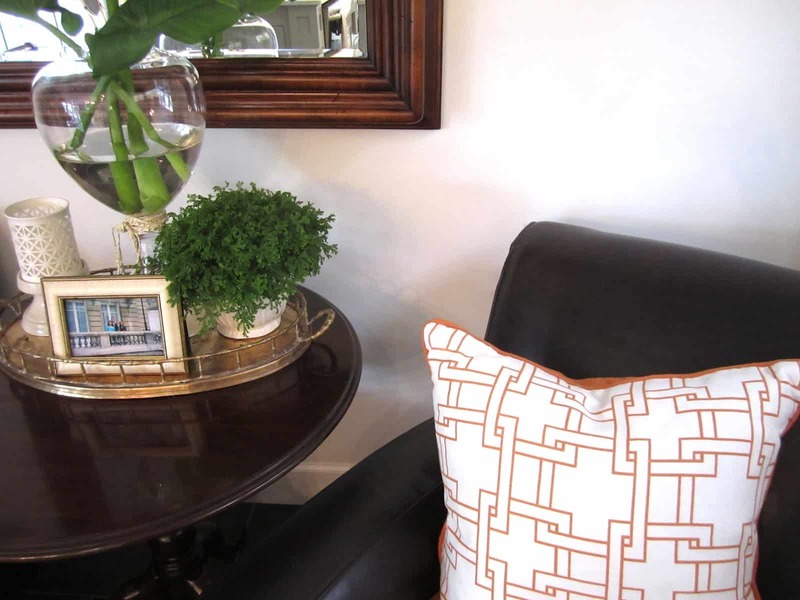 Gorgeous touches…I love the flowers and the new pillows! I really like your wall and trim paint colors in your laundry room. I think they would be perfect in my kitchen. Would you mind sharing what they are? Thanks! By the way, your house looks beautiful! The walls are the Restoration Hardware Silver Sage and the white is Benjamin Moore Bright White. Thanks, Anne. Beautiful post as always, and I love the burst of color on the floor courtesy of Home Goods and those divine chair covers in the dining room. I do not know why I do not have lavender, but seeing yours, it would surely remind me of Paris and Provence. I'll have Mr. Green Thumb get some tomorrow! Grab Alie and join us in Paris again! We will be at the same apartment and you already know the way! 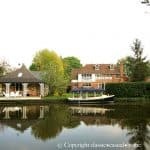 Hi Mary Ann, what a fun and lovely post! that doggie! those chairs! that rug! Lots to love at your house! I'm lovin your list too- especially that sweet little pup! Just found your blog as I was cruising around in blogland. So happy to meet you! I've never been to HomeGoods, but I must go as soon as I can find one around here. Oh, your dog is too cute! And I love the new rug! Home Goods is so great for things like that. 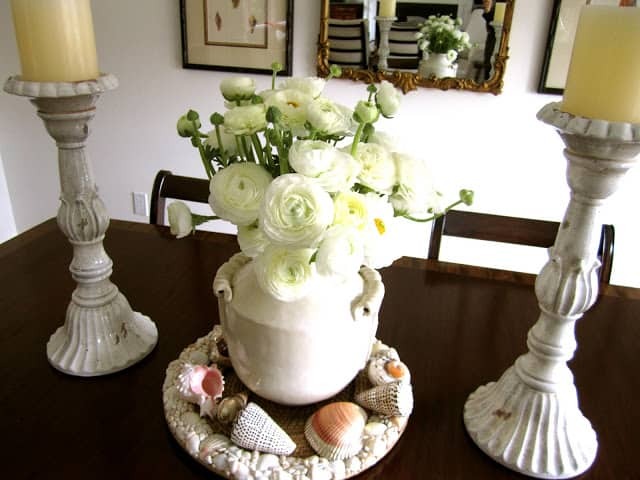 everything is just so gorgeous in your home! all the little details are inspiring & that pooch…those eyes! Just beautiful, Mary Ann! Everything is perfect for spring, even your little dog! Now I wish we just had great weather like the rest of the country. 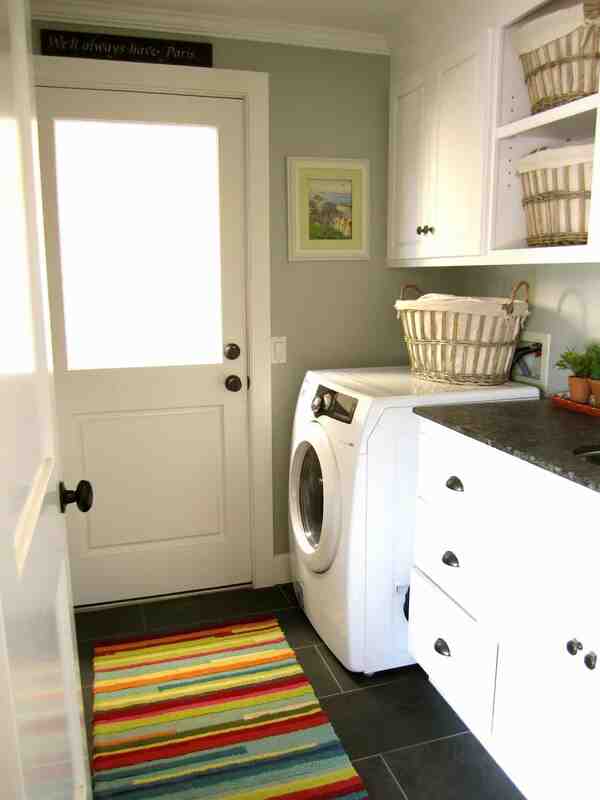 Oh what a fun rug for the laundry room…we all need some FUN stuff in this room!!! Now that green polo is just too cute…LOVE IT!!! Thanks for coming to my party…it's always so nice to have you here. Love your rug…such a cute of punch of color. 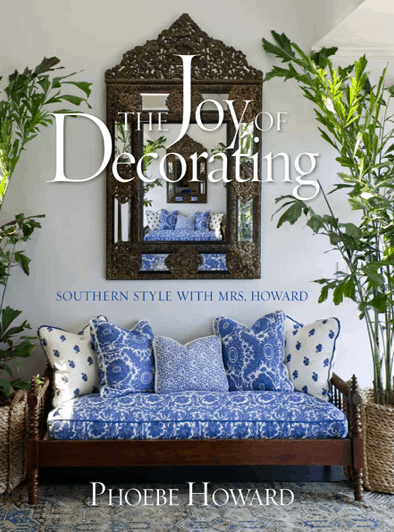 Can't wait to get Phoebe Howard's new book!! your house looks great! Love all the pretty pillows, and those flowers are amazing!! Love your house. Love that rug, too. Thanks for coming over to my blog and commenting. You've got some fun stuff going on over there. Like that rug and those pillows and especially that handsome pooch! Those are all so good! Loving the new orange fretwork pillow!! M.
Love all of your new accents..particularly the pillows. 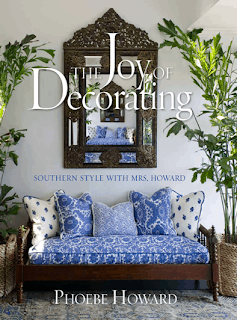 Phoebe Howard is coming to Little rock for a book signing and I posted abut it today. We are really excited. Beautiful Mary Ann. Your house is gorgeous as always. Your brightly colored rug is so fun for spring and your pup is too cute! Love, love love that rug!!! Where is the other striped rug from? I can see why you love those seven things. So jealous of your pretty laundry room! Beautiful home, love every one of your 7 things you love. 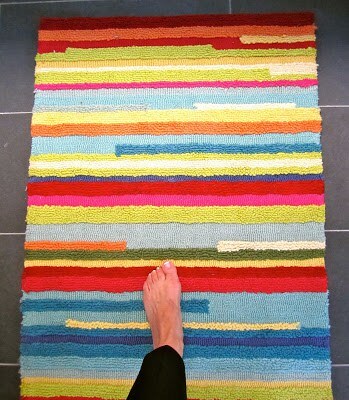 Really love rug in your laundry room, bring such fun to the room. So wish I had a laundry room like yours, our in the basement! Thanks for sharing your creative inspiration at Sunday’s Best. Hi Mary Ann, What a pretty laundry room and great new rug. Your home is beautiful and the pup is just the custest. Thank you for linking to my party.